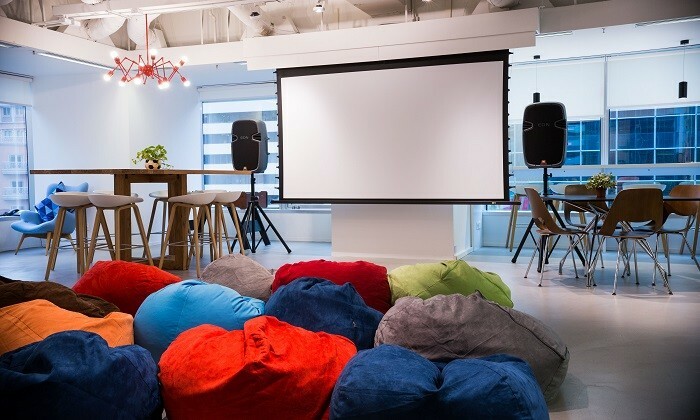 Keeping true to the company’s values and culture, Edelman Hong Kong created an open and spacious office space in Wan Chai’s Central Plaza. A large-scale office makeover in 2012 and a few further touchups down the road, Edelman’s office space encourages openness and integration across all teams and levels, breaking down silos and boundaries previously created by walls and dividers. 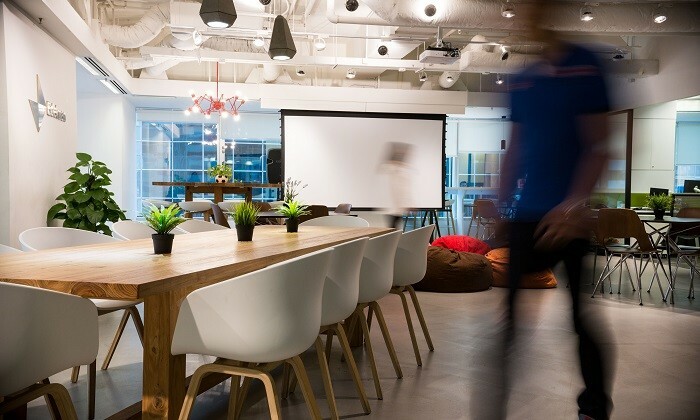 As an integrated communications marketing firm, Edelman’s Hong Kong office has a diverse and specialist team of more than 90 professionals. 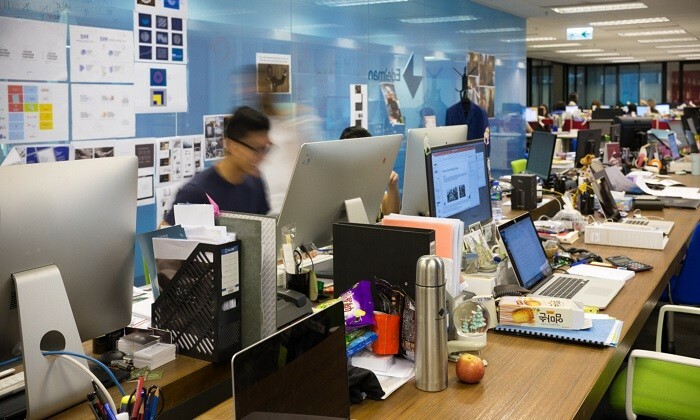 “Our business is all about team culture, openness and creativity, that’s why we made our office very open with a great sense of shared space,” says Adrian Warr, managing director, Edelman Hong Kong. To bring the company’s vision to life, Edelman worked with an architectural firm to ensure a practical yet creative design. “A lot of companies come up with a design, and then hire a contractor to execute. However, we used professionals to ensure our office was an extension of our ideology and not just a well-designed space,” Warr adds. The office has ten meeting rooms of various sizes to address different needs, some with privacy filters and some without. Warr explains that this was intentionally designed to ensure there are rooms that are open and free for brainstorming and internal meetings, and others for private client meetings. 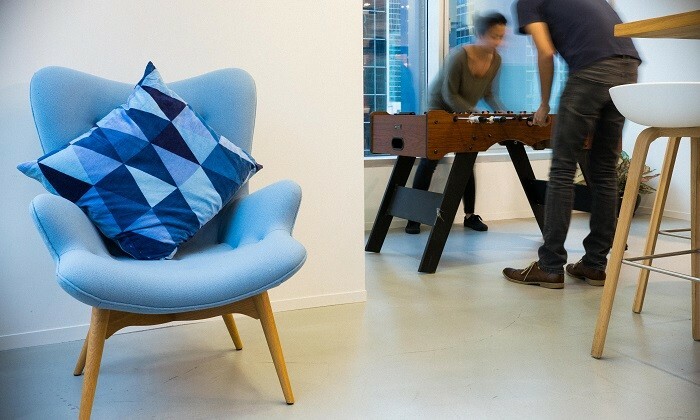 There are plenty of bean bags, sofas, stools, and even a foosball table in the office to enhance a friendly and balanced work culture. Many staff members consider such non-office standard furniture as relaxing, homely and casual. “Edelman is a flat and friendly organisation. Our founder’s principle was that everyone is an account executive. And our independence gives us the freedom to be constantly curious. We tried to bring all that to life through the different setups as it helps each member of the team bring out their true creativity. After all, we are a creative business,” says Warr. Edelman is focusing on new set of skills, which include strategy, planning, research, creative and design. These skill sets do not necessarily fall under traditional PR mode, but sits at the heart of Edelman’s business. 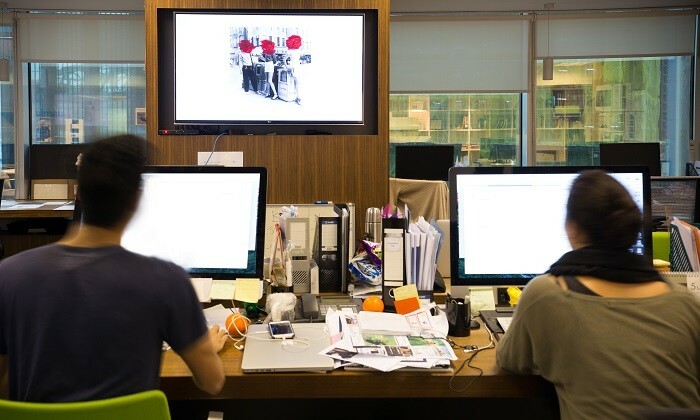 It explains why the shared space with digital, planning and creative is situated at the center of the office, helping instil Edelman’s creative and strategic mission. Digital and Creative team table: Our center piece as you walk into the office is a big, long wooden bench where the digital and creative team resides. They surround themselves with creativity and stick up story boards, word clouds and ideas everywhere like you see in the first photo. This area is one of the most active areas of the office with motion and discussions perpetuating their creative energy that transfers across the office. 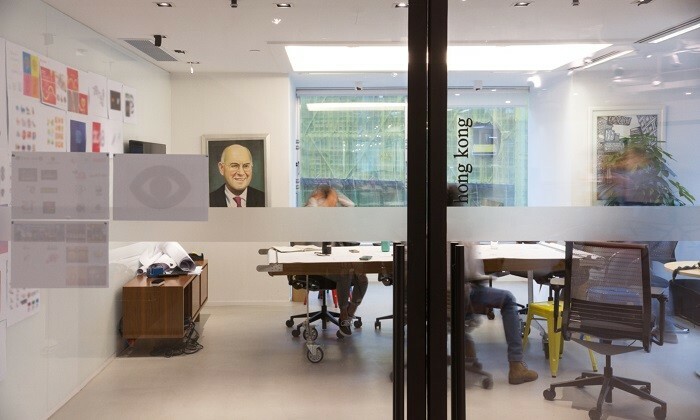 Hong Kong Room: Designed to be a space to open and explore our head to dig for ideas, it houses the drawing table which is regularly chalked full of doodles and stirring phrases. Like all our other meeting rooms it features a whiteboard wall for running meetings, brainstorming, and jotting ideas down. The two big windows on two sides and our bean bags make it ideal to just relax and swim around for creative inspiration. 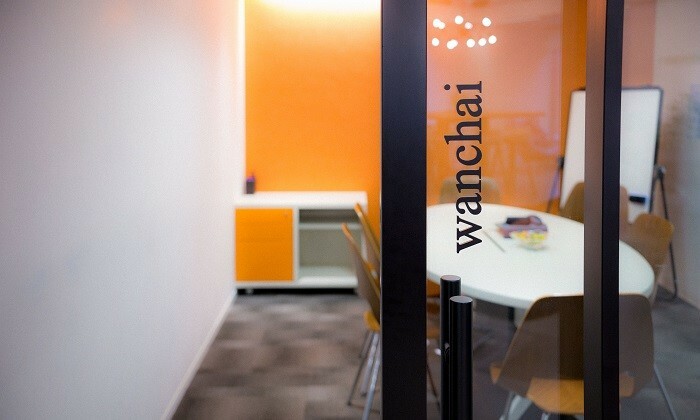 Wan Chai room: The Wan Chai room is one of our more private meeting rooms. It still features the whiteboard wall on the right, but it also creates a great space for private client meetings. Considering how active and robust our office is, it is also a popular space for people to isolate in when they really need to have a quiet environment. Pantry: Our pantry is one of the largest and greenest spaces in the office. It features tables that are favorites in the office for group lunches. The pantry also functions as a multipurpose space with facilities like speakers, projectors and a TV. We have held everything from office wide presentations and seminars to yoga classes and movie nights. Also noteworthy is our foosball table where our tournament continues as we vie for the champion title. Is getting on the board of directors as easy for women as a game of golf? Managers will be informed about losing their jobs next week and junior employees will also lose jobs. ..
Employees too bogged down with work to finish their Christmas shopping? Perhaps you should consider letting them shop online durin..
Off the Record: Am I the only one paranoid about security? Sabrina Zolkifi struggles to understand why companies are not being more careful with their confidential information. ..
Police officers are investigating a number of factors including drugs, medical background, and the possibility of heatstroke. ..